This long bubble is ready to be worn for Halloween! The brown with multicolor dots is perfect for the fall time and Halloween. 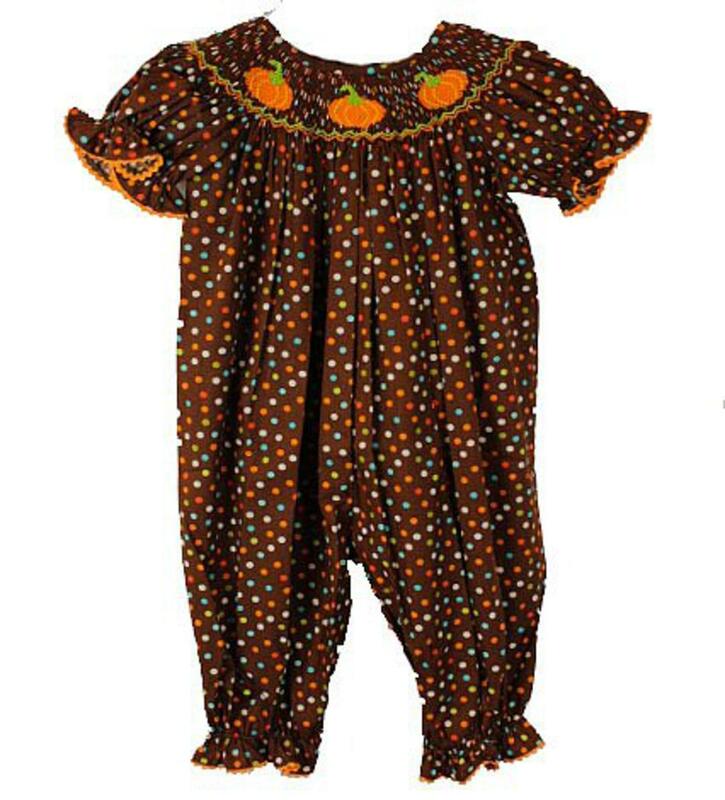 There is pumpkins smocked along the top and ruffle puff short sleeves. There is orange lace trim along the sleeves and ankles. There is two buttons down the back to accomodate getting over a childs head and snaps along the inside of the legs to change a diaper easily. This is 100% cotton and super comfy.